While at the American Museum of Natural History, Molly and Joey collaborated to create many memorable exhibits. 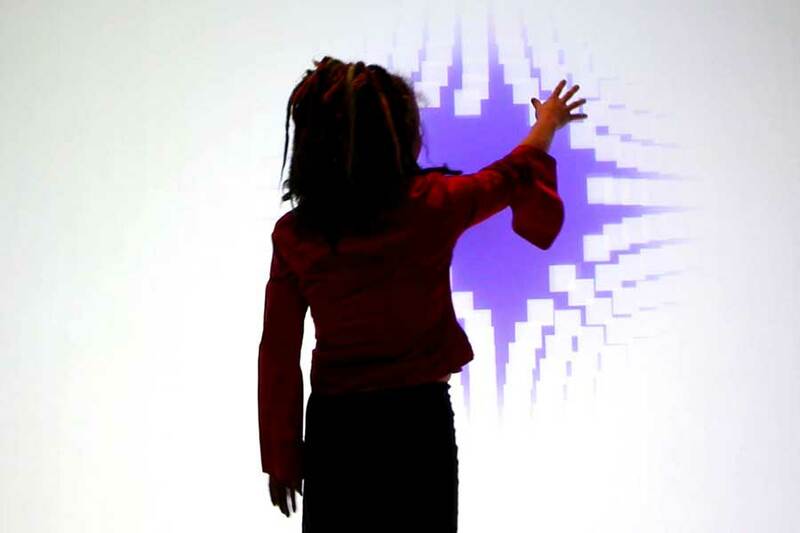 You Bend Space Time: An interactive projection created for the Einstein exhibition that allows visitors to see their own gravitational fields. 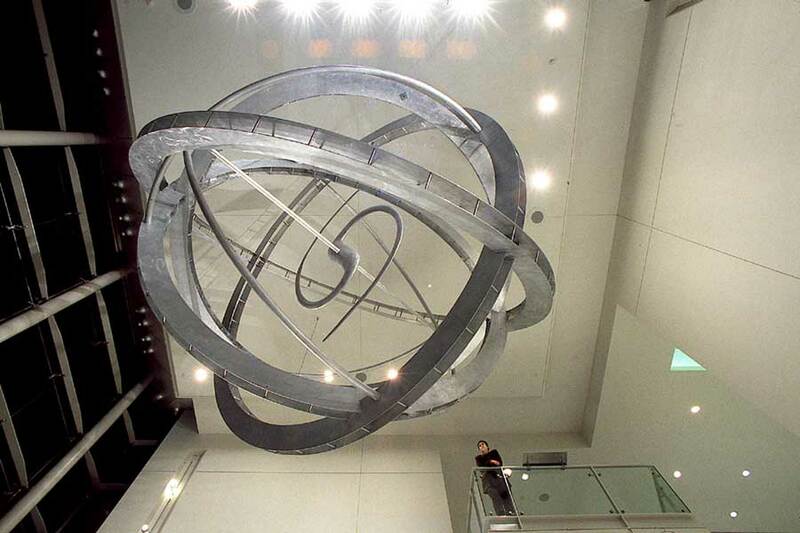 Galactic Armillary: A sculpture that shows the precise location of the Museum in the universe at the moment that the new atrium entrance was unveiled. 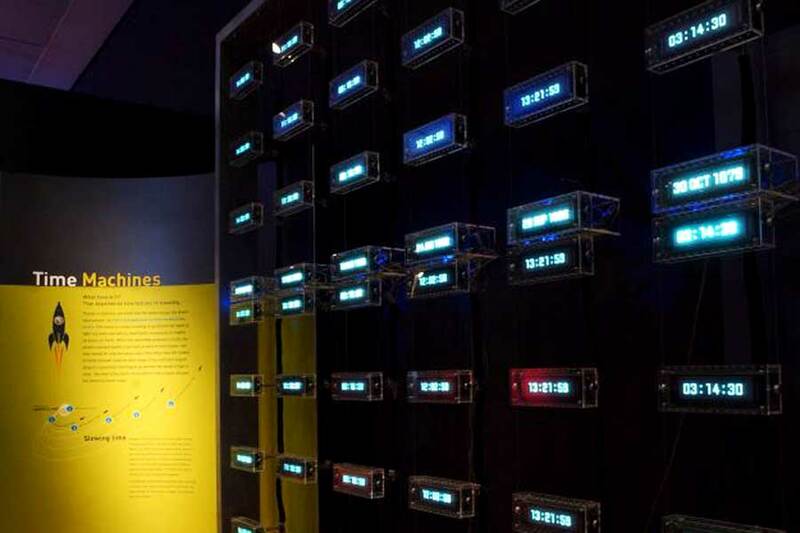 Calendar Clocks: An installation for the Einstein exhibit that shows the relationship of time and space. 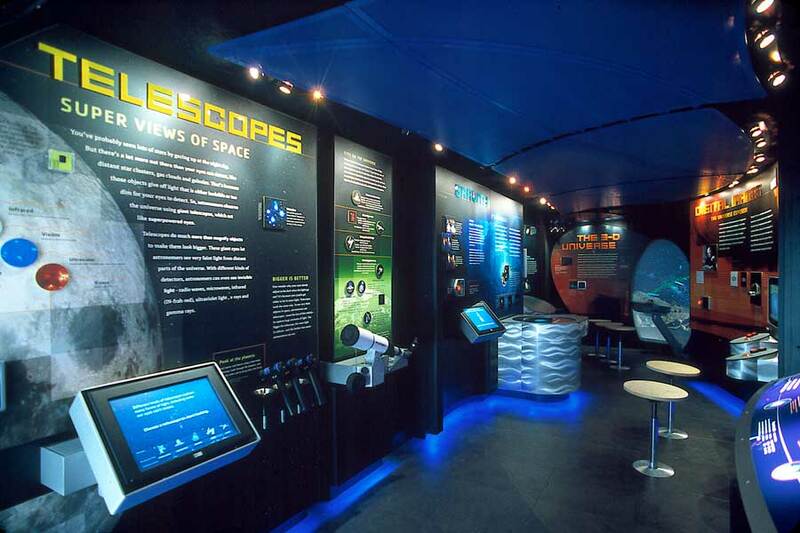 Moveable Museum: An interactive that shows visitors how to use a telescope. 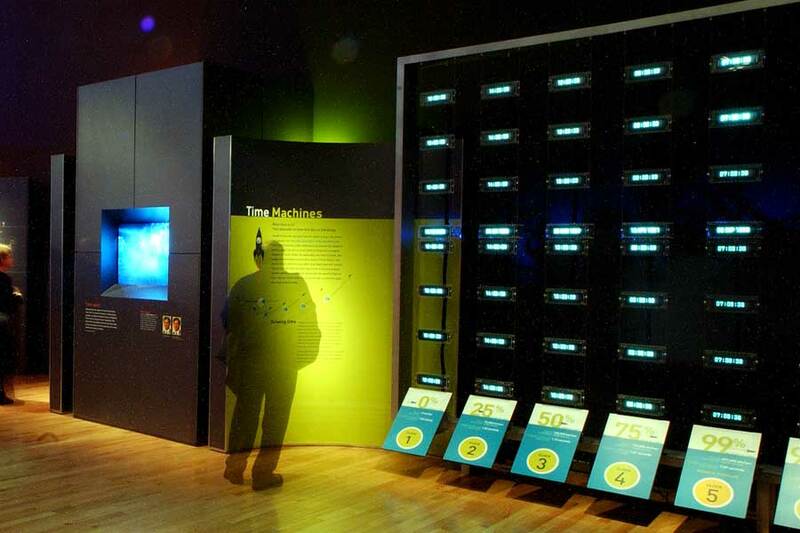 Mutation Station: An interactive sculpture created for the Genome exhibition that allows visitors to explore the double helix. Inside a Pearl: Created for the Pearls exhibition, this interactive allows visitors to virtually travel inside a pearl, viewing the structure with increased magnification. Petra: A three screen projection for the Petra exhibition with scenes from the ancient city. Shackleton: An interactive created for the Shackleton exhibition that allows visitors to take a reading with a sextant across an animation of rolling seas. 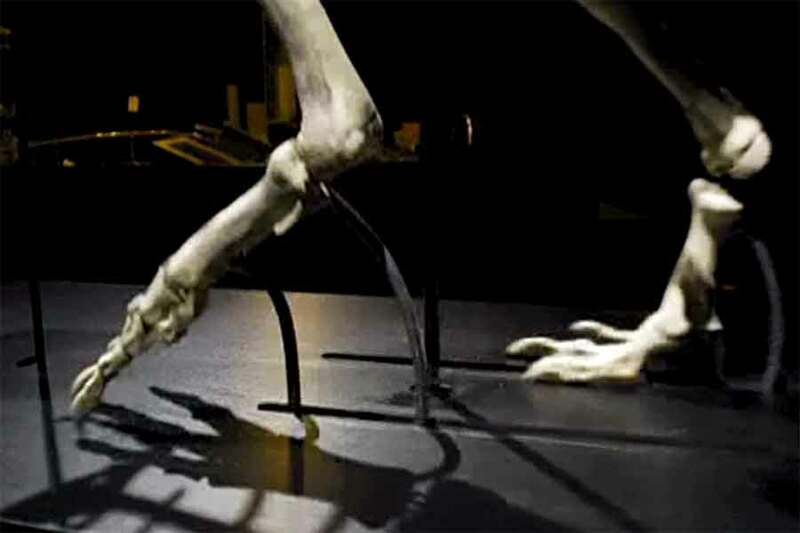 Walking T-Rex: A fully functional robotic model of a Tyrannosaurus Rex.